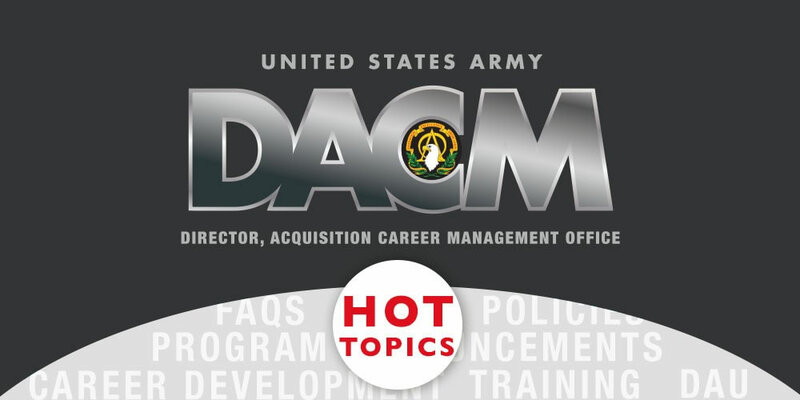 Coming soon to your neck of the woods—Army Acquisition Workforce (AAW) Summit: Back to Basics pilot at Aberdeen Proving Ground – North and Aberdeen Proving Ground – South Sept. 6-7. The summit provides an overview of the AAW composition, an understanding of how the Army DACM Office can assist the workforce, and what opportunities, resources and tools are available to help AAW members manage their career development. For questions on the summit or to schedule one at your organization, please email us. Strengthen that bench of key leaders by being one. The fourth annual Chief Developmental Tester Key Leadership Position (KLP) Joint Qualification Board will be conducted Dec. 5; the Army announcement is open from Aug. 17 – Oct. 15. This opportunity provides applicants with a joint level review of credentials in compliance with the requirements of the Chief Developmental Tester KLP. For additional information, eligibility requirements and how to apply please visit the KLP page. The Competitive Development Group / Army Acquisition Fellowship (CDG/AAF) program is currently open. The window closes Dec. 14, so get those applications in now. The Acquisition Leadership Challenge Program (ACLP) FY18 1st QTR training announcement is open from Aug. 15 – Sept. 14. Top performing AAW members (GS-7 to GS-15) are nominated by command representatives to fill the allocated quota. If interested contact your OAP. The FY18 Project Director and Product Director (PD) Centralized Selection Boards application window is open. Project Director Board application are accepted Aug. 2 – Sept. 20 and Product Director Board Aug. 16 – Oct. 4, 2017. The board will be conducted Nov. 1-3. Applicants will be selected and slated by this board to fill PD positions beginning in the summer of 2018. Applicants applying to boards may request another Senior Rater Potential Evaluation (SRPE) to include in their application package. The FY19 LTC / NH-04 / GS-14 Product Manager and the COL / NH-04 / GS-15 Project Manager Centralized Selection List (CSL) announcements closed Aug. 30. The board will convene Oct. 31 – Nov. 3. Best of luck to all the applicants! Spread the word! You can get all the newest career and workforce information mailed straight to your inbox? 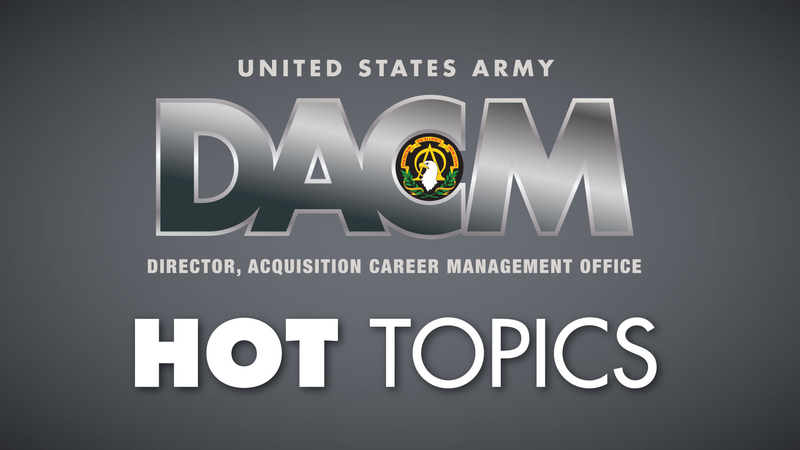 Go to https://asc.army.mil/web/news-september-hot-topics/ and subscribe at the bottom of the page.